Previously on The Ice Warriors: Ice Lord She’Yan has been given strict instructions by High Command to locate and then infiltrate Colonel D’yan’s rogue group of agents, in order for him to terminate them on the spot. 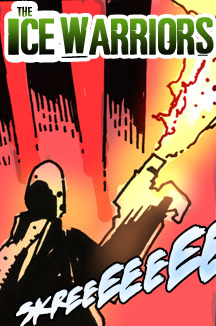 But to do this he must travel into a lawless area of space, called the Straights, despite it being blocked by an army of spaceships helmed by the Cyber-men. 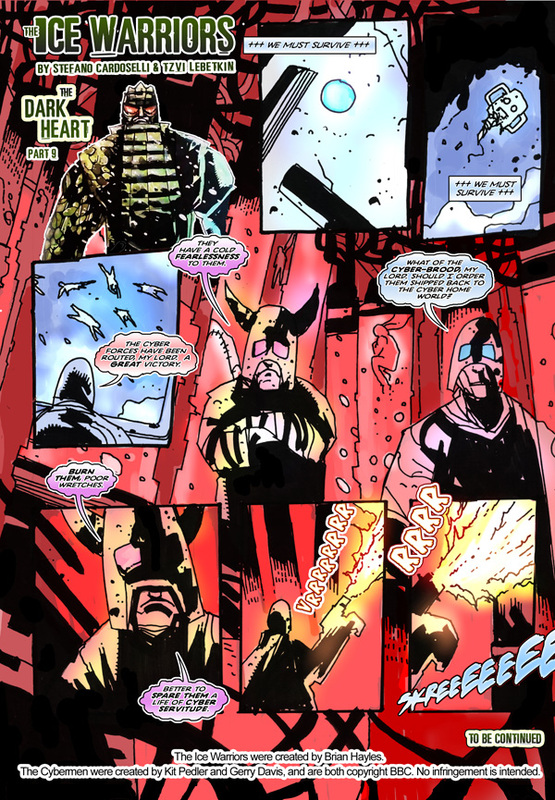 So, engaging the assistance of General Sleet’s shock division, they quickly attack with devastating results, Boom-Boom-Boom, so let's shake the room with part nine of the Dark Heart, created by Tzvi Lebetkin and Stefano Cardoselli.